The Saskatchewan Roughriders are a professional Canadian football team based in Regina, Saskatchewan. The Roughriders play in the West Division of the Canadian Football League (CFL). The Roughriders were founded in 1910 as the Regina Rugby Club. Although they were not the first team to play football in Western Canada, the club has maintained an unbroken organizational continuity since their founding. The Roughriders are the third-oldest professional gridiron football team in existence today (only the Arizona Cardinals and Toronto Argonauts are older), and one of the oldest professional sports teams still in existence in North America. Of these teams, the Roughriders are both the oldest still in existence that continuously has been based in Western Canada (as well as the oldest-surviving team in the CFL's present-day West Division) as well as the oldest in North America to continuously have been based west of St. Louis, Missouri. They are also the continent's oldest community-owned professional sports franchise, older than every American professional sports team outside baseball other than the aforementioned Cardinals (who, unlike the Roughriders, no longer play in their original city, and have moved twice in their history) and older than every Canadian sports team outside football except the Montreal Canadiens, who were founded about nine months prior to the Roughriders. The team changed their name to the Regina Roughriders from the Regina Rugby Club in 1924 and finally to the current moniker in 1946. The Roughriders played their home games at historic Taylor Field from 1936 to 2016; in 2017, the team moved to the newly-constructed Mosaic Stadium at Evraz Place. The team draws fans from across Saskatchewan and Canada who are affectionately known as the Rider Nation. The Roughriders play in the smallest market in the CFL, and the second-smallest major-league market in North America (only Green Bay, Wisconsin, is smaller). They have finished first in the Western Division seven times and have won the Western championship a record 28 times. They have played in the championship game 19 times and won four Grey Cups. The team has had 20 players inducted into the Canadian Football Hall of Fame. The Riders' biggest rival is the Winnipeg Blue Bombers; games between the two are often sold out before the beginning of the season. The Roughriders Football Club and the city of Regina have hosted the Grey Cup three times, including a Roughrider win in the 101st Grey Cup. Fight Song: "Green Is The Colour", "On Roughriders" and "Rider Pride"
Main rivals: Winnipeg Blue Bombers (see Labour Day Classic and Banjo Bowl), Edmonton Eskimos, Calgary Stampeders. The team was founded as the Regina Rugby Club on Tuesday, September 13, 1910, adopting the colours of old gold and purple. They played most of their home games at Park Hughes on 10th Avenue in Regina's north central section, where they would remain based for over a century. The team was also a founding member of the Saskatchewan Rugby Football Union as it was organized on September 22 of that year. Regina played their first game against the Moose Jaw Tigers on October 1, 1910, at the Moose Jaw Baseball Grounds where they were defeated 16–6. 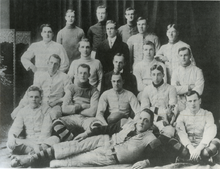 For the 1911 season, the team changed their colours to blue and white to match the Regina Amateur Athletic Association and won their first SRFU championship, but lost in the first season of the Western Canada Rugby Football Union playoffs. The Regina Rugby Club changed their colours again in 1912 to red and black and began an era of western football dominance. For every season of play in the SRFU, Regina won the league championship, exerting their prowess over teams from Moose Jaw, Saskatoon, and any other clubs in Saskatchewan. Beginning in the 1912 season, Regina won seven straight WCRFU titles, excluding 1917 and 1918 when World War I interrupted league play. In 1921, the western champion was invited to compete for the Grey Cup national championship for the first time, but it was also the first time since 1911 that the Regina Rugby Club didn't win the West Championship as the Edmonton Eskimos traveled east to play in the 9th Grey Cup. In 1923, Regina returned to power as they won their eighth western championship over the Winnipeg Victorias and earned the right to compete in the national playoffs. 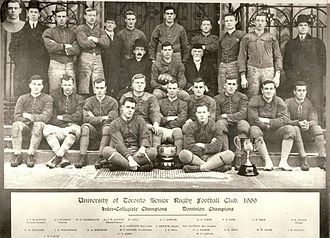 The club was given a bye and advanced straight to the Grey Cup finals for the first time, but were severely outmatched, losing 54–0 to Queen's University at Varsity Stadium in Toronto. This was, and still is, the most lopsided defeat in Grey Cup history as the defending champion Queen's won their third straight national championship at the expense of the Regina Rugby Club. Following their first Grey Cup loss, the club changed their name to the Regina Roughriders in 1924 while retaining the colours of red and black. Ottawa also had a team called the Ottawa Rough Riders, but the spelling was different and the two clubs played in different leagues then (incidentally, however, both clubs shared the same colours of red and black then). The origin of the name has multiple theories, the most credible of which describes how the North-West Mounted Police were called Roughriders because they broke the wild horse broncos that were used by the force and the moniker was adopted from them. Giving credence to this theory is that during this time, the team occasionally played at the RNWMP/RCMP barracks when the then-rudimentary facilities at Park Hughes were rendered unsuitable for play by inclement weather. 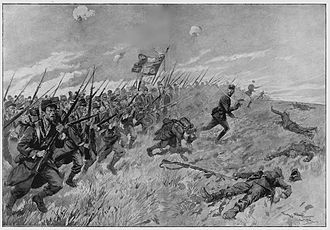 An alternative, discredited story states that the name was adopted from Theodore Roosevelt's cavalry contingent that was known as the Rough Riders, who fought in the Spanish–American War. 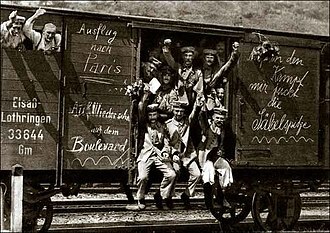 It was believed that there were Canadian troops in the contingent who returned to Canada following the war. However, this story is more often associated with the Ottawa club. 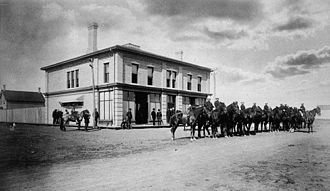 While it has been suggested that some of the troops may have eventually moved out west, the Roughriders did not adopt their name until 1924, by which time the Spanish–American War was (especially in Canada) barely a historical footnote compared to the then-much more recent (and much more climatic) First World War. Following World War I, any attempt to deliberately name a Canadian sports team in honour of a unit that participated in an earlier American war would have been extremely unpopular. During the first two years after their name change, the Roughriders failed to reclaim their western championship title, losing both times to clubs from Winnipeg. The 1926 season marked the beginning of their next reign of dominance as the club matched their own WCRFU record with seven consecutive western championships from 1926 to 1932. With dominant players such as Canadian Football Hall of Famer Eddie James, the Roughriders were a perennial contender from the West, reaching the Grey Cup finals five consecutive years from 1928 to 1932, the second-longest streak in the championship's history (the team did not challenge for the Cup in 1927, and were refused entry by the CRU in 1928). Unfortunately, Regina remained winless in the national championship, being outscored 102–15 in those five Grey Cup games. The Roughriders won their last WCRFU title in 1934, representing the west for the seventh time in the 22nd Grey Cup, but lost to the Sarnia Imperials in that club's first Grey Cup win. In 1936, Regina joined the Winnipeg Blue Bombers and Calgary Bronks as the founding franchises of the Western Interprovincial Football Union, the highest level of Canadian football play in Western Canada. Also in 1936, the first permanent grandstand was built at Park Hughes and Park de Young (which eventually became Taylor Field), which combined with other upgrades allowed the club to play all of its home games at the facility for over eight decades. The Roughriders became the first WIFU champions after they defeated the Blue Bombers and Bronks in the West Semi-Finals and West Finals respectively. However, due to a rules dispute with the Canadian Rugby Union over use of their five import players from the United States, Regina was barred from competing for the 24th Grey Cup. Winnipeg had won the Grey Cup championship one year earlier with seven imports and the move to prevent Regina from competing was seen as a reaction to the previous year's western win. While the Roughriders had planned on traveling east without the five ineligible players, the CRU remained steadfast in their decision to disallow the team from competition. The next decade in the WIFU was not as successful as the first as the team did not win another Western Final as the Regina Roughriders, nor ever finish in first place in that time span. 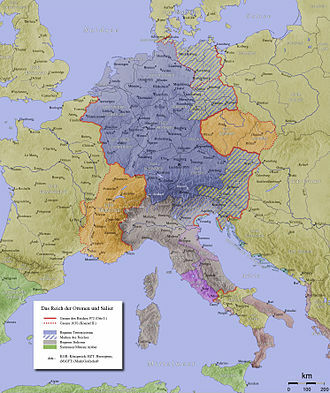 After qualifying for the playoffs in three of their next five seasons, play from 1942 to 1944 was interrupted due the World War II. While there was no regular season in 1945, the Roughriders did play the newly named Calgary Stampeders in the West Semi-Finals, but lost the series two games to none. With the folding of both clubs in Moose Jaw and Saskatoon, the Regina Roughriders became a provincially community-owned club (and has remained so since), and, consequently, changed their name to the Saskatchewan Roughriders in 1946. It is the first recorded instance of a major-league team in North America branding itself as a statewide or provincewide team. Prior to the 1948 season, the Roughriders were in need of new uniforms as their red and black ones had become old and worn out. While visiting a surplus store in Chicago, executive member Jack Fyffe found a set of green and white uniforms and purchased them for the Roughriders. Green and white have remained as the team's primary colours to this day (although the team has also worn silver and black as accent colours since then at times). The name change was made official on April 1, 1950. After three years of first-round playoff exits, the Roughriders finally returned to prominence in 1951, winning their first WIFU regular season championship with an 8–6 record. Saskatchewan, led by quarterback Glenn Dobbs, defeated the Edmonton Eskimos in the West Final and advanced to the Grey Cup for the first time since 1934. 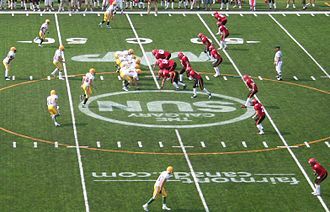 In this game, they faced the Ottawa Rough Riders for the first time, marking the first Roughriders versus Rough Riders championship game in Canadian football history. Unfortunately, Saskatchewan still did not win their first championship, as they were defeated by Ottawa 21–14 in the 39th Grey Cup. Saskatchewan contended on and off in the 1950s, with four consecutive winning seasons and second-place regular season finishes from 1953 to 1956. Teams from this era featured standouts such as Frank Tripucka, Reggie Whitehouse, Ken Carpenter, Mike Cassidy, player-coach Frank Filchock and Cookie Gilchrist who was the first Roughrider player to rush for 1,000 yards in 1958. Even with that talent, they couldn't return to the Grey Cup as clubs fielded by either the Edmonton Eskimos and Winnipeg Blue Bombers ended their season in each of these years. Their strongest season was in 1956 when the Roughriders achieved a 10–6 record and won their first playoff series since 1951, only to lose to the Eskimos in the Western Finals. 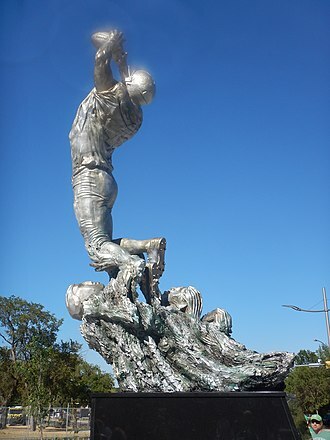 Following their 1956 campaign, tragedy struck the Roughriders franchise when four members of the team were killed in a plane crash on December 9, 1956, while returning from the Canadian Football Council (CFC) All Star Game in Vancouver. Gordon Sturtridge, Mel Becket, Ray Syrnyk, and Mario DeMarco were killed when Flight 810 crashed into Slesse Mountain near Chilliwack, British Columbia. 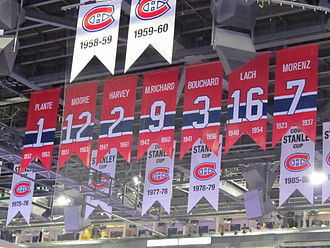 The team retired the numbers of the four players shortly after the tragedy. The following season, the Roughriders finished with seven fewer wins and a last place finish in the WIFU. 1958 brought not only change, as the Saskatchewan Roughriders became charter members of the newly formed Canadian Football League in 1958, but also stability with Ken Preston becoming the General Manager—a position he held for the next 20 years, arguably the most successful tenure in Roughrider history as the team only missed the playoffs five times, went to five Grey Cup final games, winning one in 1966. In the Roughriders' first season in the newly formed Canadian Football League, the team finished with a respectable 7–7–2 record and a third-place finish. However, the following season proved to be the worst in franchise history, as the team finished with just one win and 15 losses under head coach Frank Tripucka, the third-worst winning percentage in CFL history. The following years featured similar results, with various head coaches, as the Roughriders missed the playoffs for three consecutive seasons, their worst such streak since joining the WIFU in 1936. Following a 1962 season that saw the Roughriders return to the playoffs, the team made roster moves that would define a generation of football in Saskatchewan. 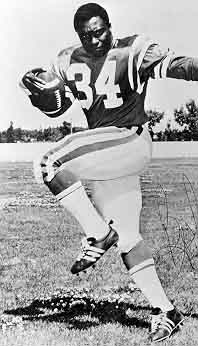 In the off-season, the Roughriders signed fullback George Reed from Washington State to replace Fred Burket, who had been traded to the Alouettes. Then, prior to their season opening game of the 1963 season, general manager Ken Preston acquired Ottawa Rough Riders quarterback and defensive back Ron Lancaster on July 30 on a straight cash basis following three years with the Eastern Riders. The duo contributed to a productive season for Saskatchewan as they finished with a 7–7–2 record and won a playoff series for the first time since 1956 before losing their first playoff match-up with the BC Lions. The Roughriders continued to make progress in the next two seasons, posting back-to-back winning records, but lost in the West Semi-Finals in both years. In 1965 after one year as the offensive coordinator, Eagle Keys became the head coach of the Roughriders and guided them to an 8–7–1 record and an appearance in the western semi final which they lost to the Winnipeg Blue Bombers 15–9. Fullback George Reed finished the season with over 1,700 yards rushing. Before the 1966 season began, the team added the final pieces to the roster by signing defensive tackle Ed McQuarters who was a recent cut by the St. Louis Cardinals, safety and backup quarterback Bruce Bennett, defensive end Don Gerhardt and running back Paul Dudley from the Stampeders. During the 1966 season the Roughriders finally captured the Western Conference regular season title with a 9–6–1 record. This was the first time they had accomplished that feat since 1951. Ron Lancaster won the Jeff Nicklin Memorial Trophy as the Western Conference's most outstanding player while George Reed, receiver Hugh Campbell and four other Riders were named league all-stars, the most from any team that year. Saskatchewan swept Winnipeg in the West Finals, winning two games to no losses, and qualified for the ninth Grey Cup final in franchise history. In the 54th Grey Cup, Saskatchewan once again faced the Ottawa Rough Riders in a rematch of the 1951 championship game. After the score was tied 14–14 at halftime, Saskatchewan scored 15 fourth-quarter points to win the franchise's first Grey Cup championship 29–14 on November 26, 1966. Saskatchewan was the last of the original nine CFL franchises to win the Grey Cup, doing so in Vancouver at Empire Stadium. George Reed was the MVP with 31 rushes for 133 yards and one rushing touchdown. The Roughriders began the 1967 season as defending champions for the first time in franchise history. They finished in second place in the West with a franchise-best 12–4 record and advanced to Grey Cup final once again, but lost to the Hamilton Tiger-Cats 24–1. The 1968 season saw the Roughriders finish with the best record in the league at 12–3–1, although they placed 1st in the west division they lost the western final series to the Calgary Stampeders 2–0 by a combined score of 57–12. Besides the 1st-place finish another highlight of the season was coach Eagles Keys winning the Annis Stukus Trophy awarded to the coach of the year. The Roughriders finished in first place in 1969 and defeated the Stampeders to qualify for another Grey Cup. 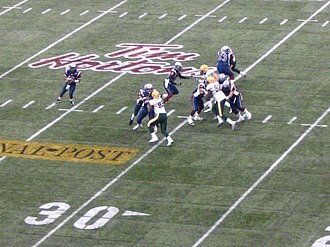 In the rubber match against the Ottawa Rough Riders, Saskatchewan fell 29–11 in their third Grey Cup game in four years. The Roughriders won a franchise-best 14 games in 1970, a record that stands to this day, but were upset in the West Finals by the Stampeders. Eagle Keys resigned during the following off-season, ending his career as the all-time leader in wins by a Saskatchewan Roughrider head coach with 68 wins and four first-place finishes. Dave Skrien was hired as the next head coach of the Roughriders and led them as they continued their winning ways, namely with an appearance in the 1972 Grey Cup, which yielded another Saskatchewan loss to Hamilton. For the 1973 season the Roughriders hired head coach John Payne. The Riders then had three consecutive second-place finishes and West Final losses to the Edmonton Eskimos, ending when George Reed retired after the 1975 season as the all-time leading rusher in all of professional football with 16,116 rushing yards. In 1976, the Roughriders recaptured first place in the Western Conferece and defeated the Eskimos in the West Final, advancing to the Grey Cup to once again play the Ottawa Rough Riders. The Roughriders allowed a last-minute touchdown catch by Ottawa tight end Tony Gabriel to lose their fourth Grey Cup in ten years, ending one of the most bittersweet eras in Roughrider history. Saskatchewan had qualified for the playoffs for 15 consecutive seasons, tied for fourth-best in CFL history, and played in 11 consecutive Division Finals, which is a CFL record. While they also posted the best regular season record in all of professional football over that time period, the team only won one championship during that time. After their loss in the 1976 Grey Cup game to the Ottawa Rough Riders, coach John Payne left the team to become head coach of the Detroit Lions and Saskatchewan fell into a drought that was unheard of in the CFL. They posted an 8–8 record in 1977, but finished in fourth place. It was the start of an 11-year playoff drought, the longest in CFL history. The Roughriders had several talented players during this era, including Joey Walters at receiver, Vince Goldsmith at defensive end, offensive lineman Roger Aldag from Gull Lake and Dave Ridgway, who became one of the greatest kickers in CFL history. However, in an era where the West was dominated by Edmonton, Winnipeg and (starting in the early 1980s) the B.C. Lions, the Roughriders often found themselves in a losing battle for the last playoff spot. Franchise quarterback Ron Lancaster retired after the 1978 season as the CFL's all time passing leader in passing yards, completions and touchdown passes. Furthermore, he is the only Roughrider to win the CFL's Most Outstanding Player Award twice while playing with Saskatchewan. Playing without Lancaster behind center for the first time in 16 seasons proved difficult as the team posted back-to-back 2–14 seasons in 1979 and 1980. Ironically, the head coach of those squads was none other than Lancaster himself. The Riders' only winning record during this time came in 1981 when they finished with a 9–7 record under Joe Faragalli, but it was only good enough for fourth place in a competitive West Division – the "crossover rule" had not yet been implemented – therefore, as in 1977, the Riders were denied a playoff spot despite the third place Eastern team having a worse record (the Montreal Alouettes finished 3-13). During the following six seasons, the Roughriders never earned more than six wins in a season, leaving them soundly out of the playoff picture. In 1985, the Roughriders introduced a new logo as part of the 75th anniversary of the inception of the team, adding black and silver to the team's colour scheme. After a carousel of head coaches since John Payne's departure in 1977, the Roughriders hired John Gregory after the 1986 season. Gregory took over a team that had missed the playoffs for ten consecutive seasons. Before the 1987 season started, after almost a decade out of the playoffs and poor attendance saddling the team, the Roughriders felt it was necessary to conduct a telethon to keep the team afloat; the Montreal Alouettes had recently folded, and the Riders were determined not to let the same fate befall them. The province-wide "Save the Roughriders" telethon was a success in that the team sold enough tickets to keep the team in operation. In 1987, Gregory's first season as Saskatchewan's head coach, the Roughriders finished 5–12. Gregory then led the Riders to an 11–7 record in 1988 and a playoff berth. He won the Annis Stukus Trophy as the league's coach of the year. The 2nd-place finish in 1988 finally ended the franchise's 11-year playoff drought, the longest in CFL history. However, the Roughriders were relegated to second place because the Eskimos who had an identical record swept them in the regular season. On November 13, 1988 the Roughriders hosted a playoff game for the first time since 1976, but lost to the BC Lions in the Western Semi-Final by a score of 42–18. Nonetheless, it was a step in the right direction as the Roughriders learned how to win and gained valuable playoff experience that they would need for next season. The Roughriders finished with a 9–9 record and a third-place finish in the 1989 season, but still qualified for the playoffs for a second consecutive season. They defeated the Calgary Stampeders 33–26 in the West Semi-Finals in part because of delay run play to Brian Walling who ran 50 yards for a touchdown to make it 30–26 with 1:38 left to play. Ironically Walling had just been picked up by the Roughriders just weeks previously from the Edmonton Eskimos practice roster. In the West Final, Saskatchewan faced the powerhouse Edmonton Eskimos, a team that set (and still holds) a CFL record with 16 regular season wins in one season. The Roughriders defeated the heavily favoured Eskimos 32–21 to advance to the Grey Cup where they faced the Hamilton Tiger-Cats for the third time in franchise history. With a talented roster that included Kent Austin at quarterback, receivers Ray Elgaard, Donald Narcisse, Jeff Fairholm and James "Duke" Ellingson, and an outstanding offensive line featuring Roger Aldag, Vic Stevenson, Dan Payne and Bob Poley, the Roughriders found themselves in a game that featured extensive offensive prowess. With the score tied 40–40, placekicker Dave Ridgway kicked a 35-yard game-winning field goal to win the 77th Grey Cup for the Roughriders, with a play that has become simply known as "The Kick." It was the second championship for the franchise, following a 23-year drought and is considered the greatest Grey Cup game ever played. Saskatchewan qualified for the playoffs in four of the next five seasons, including two seasons with winning records, but lost in the West Semi-Final each time to either the Calgary Stampeders or Edmonton Eskimos. 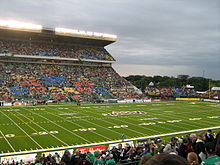 In 1995, Regina hosted the Grey Cup for the first time in league history, giving the Roughriders an opportunity to compete for the championship at home. Unfortunately, the Roughriders finished in sixth place in the newly named North Division, as part of the CFL's American expansion, and did not qualify for the playoffs. With most CFL teams losing money after the ill-fated American expansion ended after the 1995 season, the Roughriders would conduct another "Save the Roughriders" telethon in 1997 to help the team's financial health, just as they did a decade earlier; it alongside a $3 million loan from the NFL to the CFL kept the franchise afloat again. The Roughriders qualified again for the playoffs that same year for the first time since 1994, when they did so with a losing record, which was a first for the team since 1948. The team made the most of their opportunity as they defeated both of the Alberta-based teams, the Stampeders and Eskimos in the West Semi-Final and West Final, respectively, to advance to the 85th Grey Cup. Unfortunately, the upstart Roughriders fell to the Doug Flutie-led Toronto Argonauts 47–23 in the first ever Grey Cup match up between the two oldest franchises in the league. The Roughriders closed out the 20th century with two more losing seasons, failing to qualify for the playoffs in both 1998 and 1999. Following the 1999 season, Roy Shivers, the former Director of Player Personnel for the Calgary Stampeders, assumed the duties of general manager of the Roughriders. Shivers then hired Danny Barrett as the team's head coach despite the latter's limited coaching experience. The Roughriders made football history by being the first professional team with both a black general manager and head coach. In what was described as a rebuilding process, the Roughriders began the Shivers and Barrett era with two consecutive last place finishes in 2000 and 2001, missing the playoffs in both years. In 2002, progress was being made as Saskatchewan made the playoffs for the first time since their 1997 Grey Cup run with an 8–10 record and a fourth-place finish. The team played in the East Semi-Final due to the crossover rule instituted in 1997, playing in the eastern playoffs for the first time in their 90-year history, losing to their last playoff opponent, the Toronto Argonauts. The 2003 season saw the Roughriders earn their first winning record since 1994, finishing 11–7 and in third place, building optimism in a year where the franchise was hosting their second ever Grey Cup game. While the team played their longtime rival, the Winnipeg Blue Bombers, in the playoffs for the first time since 1975 and won, they lost the West Final to the eventual champion Edmonton Eskimos, missing a close chance to play in the Grey Cup at home. 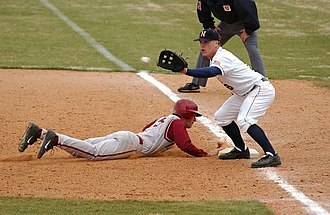 After their strong 2003 campaign, the Roughriders were expected to build upon that success in 2004. While the team regressed slightly with a 9–9 record, they won the West Semi-Final over the Eskimos and advanced to the West Final for the second consecutive year to face the BC Lions. After Saskatchewan scored a late touchdown to take the lead, BC tied the game with a late field goal, sending the game to overtime. Saskatchewan placekicker Paul McCallum missed an 18-yard field goal while BC kicker Duncan O'Mahoney hit a 40-yarder to win the game for the Lions, adding to the frustration of the Roughrider fanbase. Prior to the 2005 season, quarterback Henry Burris signed as a free agent with Calgary, leaving the Roughriders with a smaller chance at progress. The team finished in fourth place with a 9–9 record and crossed over to the Eastern playoffs again, only to be defeated by the Montreal Alouettes in the first ever post-season meeting with that team. Feeling a greater need for progress, the pressure was on the Roughriders to perform in 2006 season. After Saskatchewan started the season with a 4–5 record, general manager Roy Shivers was fired on August 21, 2006. The Roughriders then hired Eric Tillman to take over and he elected not to renew Danny Barrett's contract at the end of the season, following a third consecutive 9–9 season and a West Final loss to the Lions. While they did not win any championships, Shivers and Barrett restored a measure of respectability to the franchise and set the stage for things to come. After contending on and off in the early part of the 21st century, the Roughriders hired 1989 Grey Cup hero Kent Austin as head coach and Ken Miller as offensive coordinator in the 2007 season. Despite a rookie head coach, the team jumped out to a 7–2 start, which was their best start since 1976. They finished the season with a 12–6 record and brought along with it the Roughriders' first home playoff game since 1988, which became a 26–24 victory over the Calgary Stampeders. This was also their first home playoff win since 1976. The team then followed up with a 26–17 win at BC Place over the BC Lions in the West Division final to give the Roughriders a berth in their first Grey Cup final since 1997. On November 25, 2007, the Riders played the Winnipeg Blue Bombers in the 95th Grey Cup. The Riders' traditional rivals had moved to the East Division the previous year following the demise of the Ottawa Renegades, and the 2007 championship game marked the first time that the two Labour Day Classic opponents played each other in a Grey Cup game. Saskatchewan won 23–19 in a game where James Johnson recorded a Grey Cup record three interceptions en route to being named Most Valuable Player of the 2007 Grey Cup. Fellow Roughrider Andy Fantuz was named the Canadian MVP in the game after recording 70 yards receiving and the game-winning touchdown. A month and a half after capturing the 2007 Grey Cup, Austin stepped down as head coach to become the offensive co-ordinator at his alma mater University of Mississippi. In accepting this position in the NCAA, Austin turned down a very lucrative contract that the Riders had offered. On February 6, 2008, Roughriders GM Eric Tillman announced that the new head coach would be Ken Miller. Miller was formerly the offensive coordinator under Austin. The team also traded former league MVP Kerry Joseph to the Toronto Argonauts, leaving the team without their Grey Cup-winning head coach and starting quarterback. The 2008 season began with a 6–0 record with wins shared between three quarterbacks, including the season opening starter, Marcus Crandell. This was the team's best record since 1934, when they were still known as the Regina Roughriders. On August 24, 2008, the team's General Manager, Eric Tillman, announced the acquisition of Quarterback Michael Bishop, the Toronto Argonauts backup quarterback at the time of the trade, who went 11–1 as a starter for the Argonauts in 2007. This was the end of Marcus Crandell's run with the Roughriders, as he was released four days later. After the 6–0 start, the Riders went on to finish the 2008 CFL Regular season with the same record they finished with in 2007, at 12–6. The Roughriders finished in second place in the CFL West Division and earned the right to host the CFL West Division Semi-Final for the second consecutive year. The Roughriders suffered a devastating 33–12 loss to the BC Lions in the western semi-final game, leading to Bishop's release shortly after the loss. In 2009, the Roughriders were led by quarterback Darian Durant, who had seen his first significant playing time in 2008 and was named the opening day starter. Durant started all 18 games for Saskatchewan and led the team to a 10–7–1 record and their first West Division regular season title since 1976. After defeating the Calgary Stampeders in the West Final, the team advanced to the 97th Grey Cup to face the Montreal Alouettes. After the Roughriders were leading 27–11 in the fourth quarter, Montreal stormed back to make the score 27–25 late in the fourth. 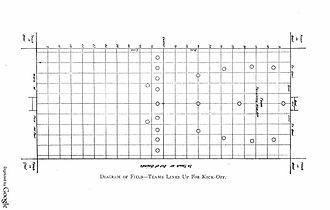 Montreal kicker Damon Duval attempted a 43-yard field goal and missed, but Saskatchewan had been called for a too-many-men penalty, advancing the placement 10 yards. Duval did not miss a second time, scoring the three points to win the game 28–27 for the Alouettes and adding to the Roughriders' championship woes. The Roughriders celebrated their 100-year anniversary as a football club during the 2010 season, wearing retro-themed red and black uniforms based on the ones worn by the Regina Roughriders. The Roughriders finished second in the West with a 10–8 record and defeated the BC Lions in double overtime in the West Division Semi-Final. 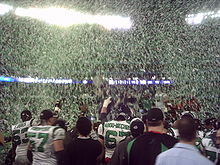 After defeating the Stampeders in the West Final for the second year in a row, the Roughriders faced the Alouettes in the 98th Grey Cup once again. Despite leading 11–8 at the half, the Roughriders faced a ten-point deficit in the fourth quarter. The lead proved insurmountable, as Saskatchewan lost the game to Montreal for the second consecutive year by a score 21–18. Following the Grey Cup loss, head coach Ken Miller resigned and became Vice President of Football operations. The club hired Greg Marshall as his replacement, but the 2011 season was one to forget, as the Roughriders finished last in the West with a 5–13 record and missed the playoffs. The Roughriders fired Marshall after a 1–7 start and had Miller step in as his replacement. The season was plagued by errors and mishaps, most of them self-inflicted as the team could not dig itself out of their early season hole. 2011 proved to be Ken Miller's last season with the Roughriders, as he retired shortly after the 2011 season. On December 16, 2011 Corey Chamblin, who formerly served as the defensive coordinator for the Hamilton Tiger-Cats, was named the new head coach of the Roughriders. The Roughriders signed two of the top Canadian players available in free agency in non-import offensive linemen Brendon LaBatte and Dominic Picard. However, they were not so fortunate with all-star linebacker Jerrell Freeman, who led the league in tackles in 2011 and departed for the NFL. The Roughriders also lost outstanding Canadian slotback Andy Fantuz, who led the league in receiving yards in 2010, as he signed as a free agent with Hamilton. Nonetheless, the team qualified for the playoffs after missing out during the previous season. In 2012, Saskatchewan lost the Western Division Semi-Final game to the Calgary Stampeders in a close game, 36–30. On January 24, 2013, the Riders traded Justin Harper and a 4th round 2014 pick to the BC Lions for six-time all-star Geroy Simon. Simon holds the record for most career receiving yards. Simon played for the Lions from 2001 to 2012. The 2013 season started off spectacularly for the Roughriders, mainly for Darian Durant and Kory Sheets. The Roughriders went 8–1 in the first nine games and set a record for the best start in franchise history (their previous best was 7–1 during the 1970 season). Running back Kory Sheets had the best start for a running back in CFL history and Darian Durant had thrown only one interception while throwing 21 touchdowns. The 2013 season ended with an 11–7 record, for 2nd in the West Division, behind Calgary. The team hosted its first playoff game since 2010 on November 10, the West Semi Finals against the BC Lions. The Roughriders won the game, 29–25, the first playoff win of Corey Chamblin's CFL head coaching career and the first since 2010 for the Roughriders, when quarterback Darian Durant put the team on his shoulders and rushed for 41 yards. On Sunday, November 17, 2013, the Roughriders successfully defeated the Calgary Stampeders in the Western Finals, the score being 35–13. This allowed the Saskatchewan Roughriders to advance to the 101st Grey Cup. It was the first time in Saskatchewan Roughriders history that they were part of the Grey Cup in their own hometown. In defiance of the individual player introduction format the league had planned for the Grey Cup game, the Roughriders took to the field as a team as the Saskatchewan crowd chanted "bring 'em out," their usual home game entrance song. The Roughriders defeated the Hamilton Tiger-Cats, 45–23, with RB Kory Sheets winning the Grey Cup Most Valuable Player Award after rushing for a franchise and Grey Cup record 197 yards, to be the third consecutive team to win the championship at their home field. The following offseason was a difficult one for the Roughriders, as they lost top players Kory Sheets and Weston Dressler to the NFL and key leaders Mike McCullough, Renauld Williams and Geroy Simon to retirement. The expansion draft saw them give up Canadian players in Keith Shologan and Zach Evans. In February 2014, the Roughriders traded backup quarterback Drew Willy to the Winnipeg Blue Bombers. The Roughriders gave head coach Corey Chamblin an extension through 2017 after Chamblin won Coach of The Year in the CFL. 2014 training camp found starters in Anthony Allen and Brett Swain as the Roughriders went out to attempt the first repeat championship season in franchise history. They began the 2014 season with a record of 9–3, similar to that of the 2013 season start. The Roughriders defensive line led by John Chick, Ricky Foley and Terrious George led the league in sacks throughout the season, and Brian Peters led a defence poised to make a run at another championship. On September 7, 2014, Darian Durant sustained an elbow injury during the Banjo Bowl that required surgery, ultimately ending his 2014 campaign. The Roughriders then gave backup Tino Sunseri a shot at starting quarterback. With Tino Sunseri leading the team, the Roughriders went 1–4 and Seth Doege got a shot as well. The Roughriders then brought 2007 Most Outstanding Player Kerry Joseph out of retirement to help the struggling team. Joseph, alongside new running back Jerome Messam and receiver Korey Williams won one game before losing to the Edmonton Eskimos in the Western Semi Final. The 2015 offseason saw the Roughriders lose top defensive players in Brian Peters and Ricky Foley. Peters was signed by the Minnesota Vikings of the NFL and Foley was traded to Toronto for Canadian linebacker Shea Emry on January 24, 2015. Soon after, Weston Dressler was signed to a 4-year contract with the Roughriders and Tyron Brackenridge also signed a contract to stay in Saskatchewan. Free agency saw the Roughriders bring back Kevin Glenn as their backup quarterback. They also brought back veterans Alex Hall, Keenan MacDougall and Jamel Richardson. The 2015 CFL Draft saw them pick receiver Nic Demski from the University of Manitoba Bisons. To begin the year, the Roughriders found a linebacker, Jeff Knox Jr, in training camp and he became an immediate starter next to Shea Emry and Weldon Brown. The first game of the 2015 season was devastating, with the Roughriders losing quarterback Darian Durant once again to a season-ending injury, along with injuries to Shea Emry and Keenan MacDougall early in the season. 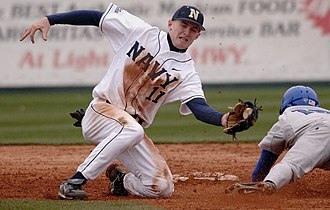 This led to players such as Jake Doughty getting a starting gig with the team. With the injury to Durant, Kevin Glenn became the starting quarterback, fulfilling the purpose for which he was signed by Saskatchewan. Days later, Chris Milo was released by the Roughriders, and they brought in veteran Paul McCallum as starting kicker. McCallum first game back with the Green and White was on July 5, 2015, a 42–40 overtime loss to the Toronto Argonauts. Weeks later, the Roughriders still didn't have a win in the 2015 season, raising concern on whether head coach Corey Chamblin would eventually be fired. The injury bug around Saskatchewan got worse as quarterback Kevin Glenn, receiver Chris Getzlaf, linebacker Weldon Brown, and receiver Taj Smith were lost to injury. This eventually led to rookie quarterback Brett Smith getting a shot as the starter. During the August 30, 2015 game against the Ottawa Redblacks, head coach Corey Chamblin made the decision to bench Smith in favour of Tino Sunseri following an interception, which disgusted many Roughrider fans. Following another disappointing loss to Ottawa and a record of 0–9 for the first half of the season, head coach Corey Chamblin and general manager Brendan Taman were fired on September 1, 2015. Special teams coordinator Bob Dyce was appointed interim head coach and assistant general manager Jeremy O'Day was appointed interim general manager. On December 7, 2015, a mere week after winning the 103rd Grey Cup with the Edmonton Eskimos as their head coach, it was announced that Chris Jones would be the new head coach, general manager and vice-president of football operations for the Saskatchewan Roughriders. Jones has won four Grey Cups rings with four teams: Montreal 2002, Calgary 2008, Toronto 2012, Edmonton 2015. On December 16, 2015 eight assistant coaches under Jones in Edmonton joined the Roughrider coaching staff. This is includes Stephen McAdoo as Offensive co-ordinator and assistant head coach, Craig Dickenson as Special teams co-ordinator, Jarious Jackson as Quarterbacks coach and passing game co-ordinator, Mike Scheper as Offensive line coach, Phillip Lolley as Linebackers coach, Jason Shivers as Defensive backs coach, Ed Philion as Defensive line coach and Craig Davoren as Running backs coach and special teams assistant. Jones' first major moves as head coach and general manager of the Roughriders occurred on December 15, when Jones cut 19 players from the roster including Tyron Brackenridge, Anthony Allen and Terrell Maze. On January 14, 2016, Jones continued the rebuild by cutting fan favourites and long-time Roughriders John Chick and Weston Dressler. Chick went on to sign with the Hamilton Tiger Cats, while Dressler went on to sign with rival Winnipeg Blue Bombers. However, the Roughriders suddenly signed defensive end Shawn Lemon to replace Chick soon after. Later that month, the Roughriders re-signed longtime receiver Rob Bagg. Jones departed after the 2018 season, being succeded by Craig Dickenson on January 25, 2019. Rider fans are known to be the best fans in the league and were ranked the rowdiest fans of any sports team in Canada by MSN Sports, ranking ahead of the Canada men's national junior ice hockey team and the Montreal Canadiens. The team is third behind the Montreal Canadiens and Toronto Maple Leafs for merchandise sales of Canadian sports teams, and in 2009 the team played in 5 of the 6 most viewed games on television as well as breaking a ratings record for the West Final against the Calgary Stampeders and a Grey Cup ratings record of 43% of the national population against the Montreal Alouettes. According to a recent survey (July 2015), the Riders are considered the third strongest sports Brand in Canada. The Riders typically bring an upsurge in attendance at all or most of their various away venues, drawing crowds of their own fans. The province of Saskatchewan went through tough economic times during the 1980s and 1990s and as a result thousands of Rider fans left the province for work, particularly to Alberta. In Edmonton and especially Calgary, Rider fans make up to half the crowd, and many violent clashes have resulted in recent years between Roughrider and Stampeder fans. 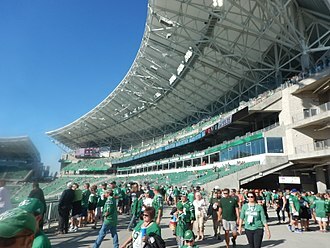 The Riders have led road attendance in the CFL every year during the 2000s decade, and local support has skyrocketed in recent years due to the on-field success of the club, including the first sold-out season in 2008. The Roughriders attendance record came in 1995 in a win over the Calgary Stampeders as 55,438 (more than 25% of Regina's population) fans watched on. This crowd was attainable that year because of the increased capacity of Taylor Field in preparation of hosting the Grey Cup. Rider fans are also known for dressing up in unique and often bizarre Rider-themed costumes, the most popular being the watermelon helmet. The Roughriders have a unique fan-base that are passionate and engaging. They are the only CFL football team with a fan-based analytic website, dedicated to fan-based opinion and perception. Beginning with the 2011 season, Insightrix Research Inc. has conducted a poll after each Roughrider game, surveying a random selection of fans from the SaskWatch Research online community. Each week, fans weigh in on the Riders’ game performance and predictions for the rest of the season. These predictions are compared against other Regions in Saskatchewan, titled "Battle of the Regions." Section 28 (formerly known as the University Section) was a notorious section in the East Side bleachers at Taylor Field. 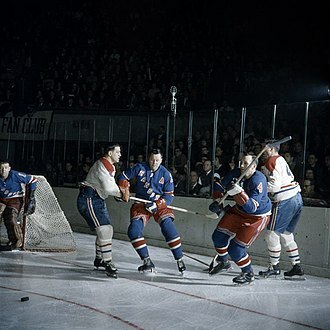 They were known for their strict allegiance to the Riders, standing through the entire game, and often being merciless to opposing fans who sit in the section and cheer for the road team. The University Section got its nickname from the section's main purpose in the 1980s and 1990s and was a discount section offered to university students in Saskatchewan. The section later ceased to serve as a university section but remained a section with a rowdy reputation until Taylor Field's closure in 2016. The official Rider songs are played regularly at the stadium, and include "Rider Pride", and "Paint the Whole World Green." Among several 'borrowed songs' is the team's touchdown song and victory march, "Green Is the Colour" (adapted from the original "Blue Is the Colour" written by D. Boone and R. McQueen for the Chelsea Football Club) and "On Roughriders" (adapted from "On Wisconsin", the fight song for the Wisconsin Badgers). In addition, during every fourth quarter intermission, the P.A. system plays the cult hit "The Last Saskatchewan Pirate" by The Arrogant Worms, and the Riders Cheer Team leads the crowd in a fourth quarter stretch. There are many other songs that have been created over the years to tribute the team as well. Many of these songs have proved so popular in Western Canada that they have become popular culture phenomena. The music selection at Mosaic Stadium mostly consists of mainstream popular music. "Green Is the Colour" is played after every rider touchdown, followed by Gainer the Gopher being driven around the stadium's track and giving high fives to those in the first row. The current official Rider mascot is Gainer the Gopher, who made his first appearance in 1977. Gainer is an anagram of Regina, and the gopher, or more precisely Richardson's ground squirrel, is a common animal on the Canadian Prairies. The Roughriders' flagship radio station is CKRM in Regina; Derek Taylor is the play-by-play announcer, and Luc Mullinder is the colour commentator. Michael Ball is the sideline reporter for home games. Pre-game and post game shows are hosted by Phil Andrews with a collection of guest analysts and commentators on each broadcast. Roughriders radio broadcasts are broadcast throughout the province via The Co-operators Roughrider Football Network, which comprises CFWD-FM in Saskatoon, CJGX in Yorkton, CKBI in Prince Albert, CJNB in North Battleford and CJNS-FM in Meadow Lake. All of the Roughriders' radio affiliates are either owned, or formerly owned, by Harvard Broadcasting. The Roughriders are one of only a few publicly owned professional sports companies in North America, complete with a board of directors. The Roughriders' public ownership model is similar to the Green Bay Packers where a limited number of shares have been sold to the public. It is not possible to resell these shares, no dividend payment is possible and no person may hold more than 20 voting shares. A recent public offering of Rider Shares—Series 1—commenced in 2004 at an offering price of $250 per share In 2006 the Ottawa Sun reported that the Roughriders had sold around 3,000 at $250 each. The Series 1 offering closed in 2008 after all 6,000 shares were sold. A second public offering, Series 2, was launched in 2010 in honour of the team's 100th anniversary. As of 2016 the Roughriders have released and subsequently sold out 1,989 shares of Series III at $250 each. this Series "commemorates the 1989 Grey Cup championship victory" and "features the likenesses of Kent Austin, Bobby Jurasin and Don Narcisse with an illustration of the championship winning kick in the background." Prior to 2004, the club operated as a corporation without share capital. As such, no person or entity "owned" the team or any portion of it. The Winnipeg Blue Bombers continue to use this organizational structure as of 2017. Becket, DeMarco, Syrnyk, and Sturtridge's numbers were retired posthumously after their deaths in the Trans-Canada Air Lines Flight 810 plane crash on December 9, 1956. As of 2016, 38 members of the Canadian Football Hall of Fame have played and/or worked for the Saskatchewan Roughriders. * For the 1995 Season, all 8 Canadian teams were featured in the Northern Division. Lost West Final 45–18 to B.C. * From 2000 to 2002, the CFL awarded a single point to teams losing in overtime. The Riders had two such losses during the 2002 season. Won West Final 26–17 over B.C. 2008 Ken Miller 12 6 0 24 500 471 7–2 5–4 5–5 2nd Lost West Semi-Final 33–12 to B.C. ^ "Riders Update Logo". Riderville.com. CFL Enterprises LP. March 23, 2016. Retrieved December 1, 2017. ^ "Saskatchewan Roughriders Club Profile & History" (PDF). 2017 CFL Guide & Record Book. CFL Enterprises LP. Retrieved December 1, 2017. ^ "Rider Nation receives Commissioner's Award". Cfl.ca. 25 November 2010. Retrieved 2016-06-18. ^ Wagner, Courtney (2009-06-01). "Labour Day Classic sold out and Round 4 final predictions". Regina Leader-Post. ^ "101st Grey Cup awarded to Saskatchewan". Cfl.ca. 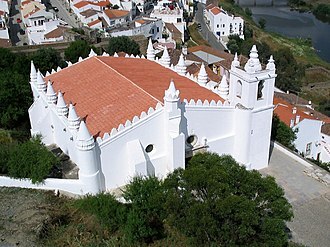 13 October 2011. Retrieved 2016-06-18. ^ "TEAM HISTORY". Saskatchewan Roughriders. Retrieved 2016-06-18. 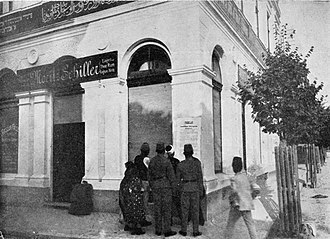 ^ "1924". Cflapedia.com. Retrieved 2016-06-18. ^ "Year". Cflapedia.com. Retrieved 2016-06-18. ^ a b "Google News". Archived from the original on 2015-11-18. ^ Beitel, Stu (2008-04-04). "Mount Slesse, BC Plane Crashes Into Mountains, Dec 1956". GenDisasters.com. ^ "Saskatchewan Wins Grey Cup For The First Time - Worden's Play Key To 29-14 Conquest Of Ottawa". Archived from the original on July 11, 2012. Retrieved June 18, 2016. 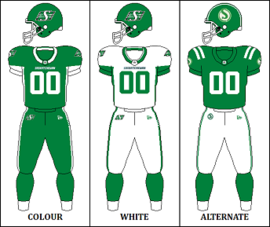 ^ "Riders have surprise in store with uniforms". Saskatoon StarPhoenix/CanWest News Service. 2008-04-21. Archived from the original on 2012-11-08. ^ "Ron Lancaster". Front Office Team. Hamilton Tiger-Cats. Archived from the original on September 18, 2008. Retrieved April 3, 2012. ^ "TEAM HISTORY". riderville.com. Saskatchewan Roughriders. Archived from the original on 29 March 2018. 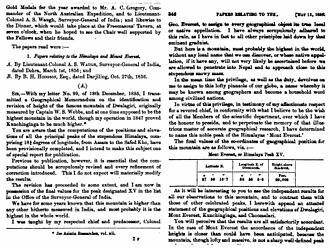 Retrieved 11 February 2018. By 1987, the organization decided it was necessary to conduct a telethon to keep the team afloat. ^ "16 Shades of Grey: The greatest Grey Cup of all time is … | National Post". News.nationalpost.com. Retrieved 2016-06-18. ^ "TEAM HISTORY". riderville.com. Saskatchewan Roughriders. Archived from the original on 29 March 2018. Retrieved 11 February 2018. In 1997, another telethon was conducted to bolster the franchise’s financial health. ^ Naylor, David (September 4, 2009). "Riders' tall in the saddle". www.theglobeandmail.com. The Globe and Mail. Retrieved 11 February 2018. The telethon, coupled with a $3-million loan from the NFL to the CFL and the Roughriders making a surprise run to the 1997 Grey Cup game (a 47-23 loss to the Toronto Argonauts), helped keep the franchise going. ^ "Roy Shivers". Bclions.com. Retrieved 2016-06-18. ^ a b "Roughriders, Shivers part ways". CFL.ca. 2006-08-21. Retrieved 2016-06-18. ^ "CFL playoff history: Lions-Roughriders – Football – CBC". Cbc.ca. 2010-11-12. Retrieved 2016-06-18. ^ "Danny Barrett era ends in Saskatchewan". CFL.ca. 2006-11-27. Retrieved 2016-06-18. ^ "Kent Austin leaving Roughriders". CFL.ca. 2008-01-16. Retrieved 2016-06-18. ^ "Miller named Roughriders head coach". CFL.ca. 2008-02-06. Retrieved 2016-06-18. ^ "How the West was won: Riders finish 1st". CFL.ca. 2009-11-07. Retrieved 2016-06-18. ^ "Als storm back to win 97th Grey Cup". CFL.ca. 2009-11-29. Retrieved 2016-06-18. ^ "Riders work overtime, advance to Western Final". CFL.ca. 2010-11-14. Retrieved 2016-06-18. ^ "Twice is nice: Als repeat as Grey Cup champs". CFL.ca. 2010-11-28. Retrieved 2016-06-18. ^ "Ken Miller Calls it a Career – Saskatchewan Roughriders". Riderville.com. 2011-11-01. Retrieved 2016-06-18. ^ "The New Coach has Arrived – Saskatchewan Roughriders". Riderville.com. 2011-12-16. Retrieved 2016-06-18. ^ "Riders grab LaBatte and Picard from Free Agency Market – Saskatchewan Roughriders". Riderville.com. 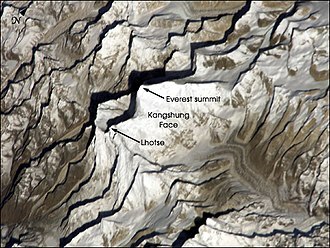 2012-02-16. Retrieved 2016-06-18. ^ Saskatchewan Roughriders (24 November 2013). "101st Grey Cup Championship Roughriders Player Intro" – via YouTube. ^ "Riders promote Craig Dickenson to head coach". CFL.ca. 2019-01-25. Retrieved 2019-01-26. ^ "Saskatchewan Roughriders — Canada's rowdiest sports fans". MSN Sports. Retrieved 2010-02-09. ^ Proudfoot, Shannon (2009-11-27). "Celebrating Canada's Team". The Vancouver Sun. Archived from the original on 2010-02-06. ^ Isaac, Sharday (2015-07-10). "Roughriders Rank 3rd in terms of Brand Strength". 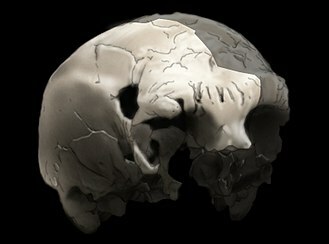 Insightrix Research. 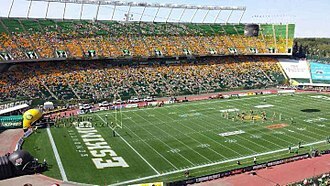 ^ "Eskimos set new attendance record". Esks.com. ^ Pedersen, Rod (July 29, 2008). "Warning to Rowdy Rider Fans". Riderville.com. ^ "Stamps prepare for sea of green". The Globe and Mail. Retrieved 2016-06-18. ^ Busby, Ian (2009-10-20). "Rider pride sea to sea, Roughies fans fill CFL stadiums". The Calgary Sun. ^ "Riders announce profit, Hopson contract extension". HockeyFanZone.com. Retrieved 2016-06-18. ^ "Saskatchewan Roughriders Fan Community". LetsGoRiders.com. Retrieved 2016-06-18. ^ Hamelin, Johnathan (2009-11-11). "Rider Report: Living the Saskatchewan Roughrider Experience". Bleacher Report. ^ "Audio". Riderville.com. Archived from the original on 2010-02-09. ^ "Rider Music Search" (PDF). SaskMusic.org. Archived from the original (PDF) on 2009-01-07. ^ "Gainer the Gopher". Saskatchewan Roughriders. Archived from the original on 2010-02-09. Retrieved 2010-02-09. ^ "Series 1 Rider Shares — Down To Last 25". Riderville.com. October 29, 2008. Archived from the original on February 6, 2010. ^ Canoe inc. (2006-03-23). "Local ownership 'fraught with uncertainty'". Slam.canoe.ca. Retrieved 2016-06-18. ^ "Shares – Saskatchewan Roughriders". Riderville.com. 2016-02-18. Retrieved 2016-06-18. ^ "Shares – Saskatchewan Roughriders". Retrieved 2016-07-02. ^ "TEAM HISTORY – Saskatchewan Roughriders". Archived from the original on 9 October 2014. Retrieved 25 September 2014. Mosaic Stadium at Taylor Field is an open-air sports stadium located in Regina, which was used primarily to play Canadian football. Originally designed to house baseball as well as football, the stadium was converted to a facility in 1966. The field was used to play high school football. It is owned and managed by the city of Regina, the field is artificial turf and, as of 2012, a seating capacity of 32,848. The stadium closed after the 2016 season, as the new Mosaic Stadium was completed in 2016, the old stadium is currently slated to be demolished with the site being converted into a mixed use development. The stadium is located in the North Central portion of Regina, beginning in 1910, the original Regina Rugby Club played at various venues throughout the city, including Dominion Park and Exhibition Park. In 1921, the team playing at a soccer field known as Park Hughes. In 1928, Park Hughes and a baseball diamond known as Park de Young were reconfigured to provide a better venue to accommodate the growing number of baseball and football fans. To make the facility suitable for sports, the football field was laid out in a unique diagonal pattern, a configuration which would persist throughout the remainder of the facilitys existence. Nevertheless, the facilities remained rudimentary even by contemporary standards. 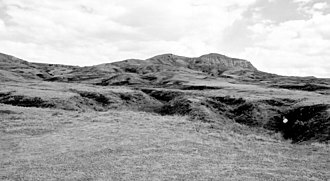 Often, heavy rain would turn the dirt playing surface to mud, at the time, the barracks housed a unit informally called the Roughriders who were tasked with breaking in wild broncos for the force. In 1924, the Regina Rugby Club would adopt the Roughriders nickname as their own, after the first permanent grandstand was built in 1936, the team moved into the facility full time and remain there for the next eight decades. However, for a decade after the first permanent seating was built the surface remained plain dirt. Late-season games were played in dust bowl conditions. Finally, in 1946, the city recreation board agreed to plant a more stable grass surface, in 1947 the facility was renamed Taylor Field after recently deceased Neil J. The Winnipeg Blue Bombers are a Canadian football team based in Winnipeg, Manitoba. They are currently members of the West Division of the Canadian Football League and they play their home games at Investors Group Field after many years of playing at the since demolished Canad Inns Stadium. The Blue Bombers were founded in 1930 as the Winnipeg Football Club, since that time, they have won the leagues Grey Cup championship 10 times, most recently in 1990. With 10 wins, they have the third-highest win total in the Grey Cup among active, though they are currently the team with the longest Grey Cup drought, no other CFL franchise has as many Grey Cup appearances as the Blue Bombers current 25. The Blue Bombers were the first team not located in Ontario or Quebec to win a championship. H Guild & J. On June 10,1930, they amalgamated with all the teams in the Manitoba Rugby Football Union to create the Winnipeg Winnipegs Rugby Football Club, adopting the colours green. 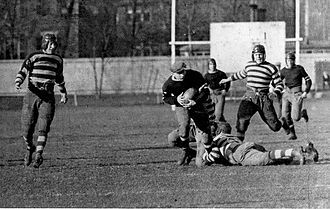 The Winnipegs played their first game against St.
Johns Rugby Club on June 13,1930, in 1932, the Winnipegs and St. Johns merged into one team and adopted the colours blue and gold. Western teams had been to the Grey Cup game 10 times since 1909 and it was clear in those days that the East was much more powerful, outscoring their opponents 236–29 in these games. On December 7,1935, the Bombers got their first shot at winning the 23rd Grey Cup, the game was being held in Hamilton, with the home-town Tigers being their opponents. It was a day at Hamilton Amateur Athletic Association Grounds. Winnipeg was up 5–0 before many fans had reached their seats. Hamilton player Jack Craig let the opening kickoff bounce to the turf while a Winnipeg player promptly recovered the ball at the Hamilton 15-yard line, Winnipeg scored quickly on a Bob Fritz pass to Bud Marquardt to get the early lead. After scoring another touchdown on a Greg Kabat catch in the endzone and their lead was soon cut to three points in the second half after Hamilton scored a touchdown of their own, helped by a blocked kick that placed the ball on the Winnipeg 15-yard line. Regina (/rᵻˈdʒaɪnə/ is the capital city of the Canadian province of Saskatchewan and within the Treaty 4 territories. The city is the second-largest in the province, after Saskatoon, and it is governed by Regina City Council. The city is surrounded by the Rural Municipality of Sherwood No.159, Regina was previously the seat of government of the North-West Territories, of which the current provinces of Saskatchewan and Alberta originally formed part, and of the District of Assiniboia. The site was previously called Wascana, but was renamed to Regina in 1882 in honour of Queen Victoria and this decision was made by Queen Victorias daughter Princess Louise, who was the wife of the Governor General of Canada, the Marquess of Lorne. 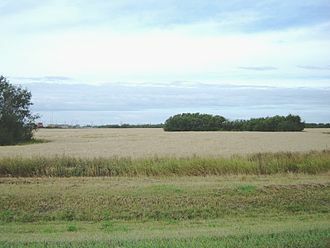 Unlike other planned cities in the Canadian West, on its treeless flat plain Regina has few topographical features other than the small spring run-off, Reginas importance was further secured when the new province of Saskatchewan designated the city its capital in 1906. The CCF, formulated its foundation Regina Manifesto,1933 in Regina, in recent years, Saskatchewans agricultural and mineral resources have come into new demand, and it has entered a new period of strong economic growth. The population of the Regina CMA as of 2016, was 236,481, there was an obvious conflict of interest in Dewdneys choosing the site of Pile-of-Bones as the territorial seat of government and it was a national scandal at the time. There, the Territories were remote and of little concern, Princess Louise, Duchess of Argyll, wife of the Governor General of Canada, named the new community Regina, in honour of her mother, Queen Victoria. 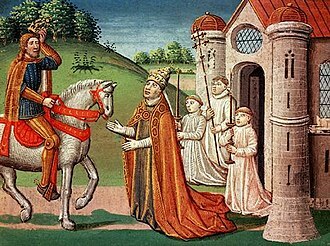 The episode, including Riels imprisonment and execution, brought the new Regina Leader, the Leader-Post, to national prominence. Regina grew rapidly until the beginning of the Great Depression, in 1929, by this time, Saskatchewan was considered the third province of Canada in both population and economic indicators. Thereafter, Saskatchewan never recovered its early promise and Reginas growth slowed, in 1935, Regina gained notoriety for the Regina Riot, an incident of the On-to-Ottawa Trek. Moose Jaw is a city in south-central Saskatchewan, Canada, on the Moose Jaw River. 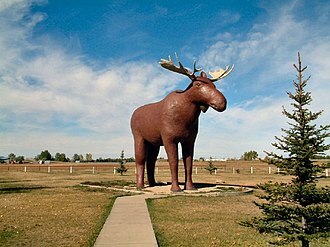 It is situated on the Trans-Canada Highway,77 km west of Regina, residents of Moose Jaw are known as Moose Javians. 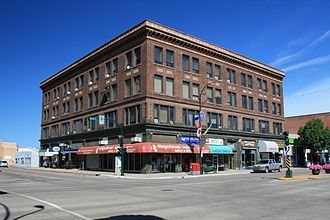 The city is surrounded by the Rural Municipality of Moose Jaw No.161, Moose Jaw is an industrial centre and important railway junction for the areas agricultural produce. CFB Moose Jaw is a NATO flight training school, and is home to the Snowbirds, Moose Jaw has a casino and geothermal spa. Cree and Assiniboine people used the Moose Jaw area as a winter encampment, the Missouri Coteau sheltered the valley and gave it warm breezes. The narrow river crossing and abundance of water and game made it a location for settlement. Traditional native fur traders and Métis buffalo hunters created the first permanent settlement at a called the turn. The water supply there was significant for steam locomotives, settlement began there in 1882 and the city was incorporated in 1903. 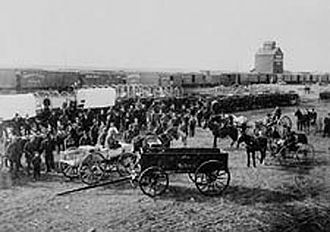 The railways played an important role in the development of Moose Jaw. A dam was built on the river in 1883 to create a water supply. Mosaic Stadium is an open-air stadium in Regina, Saskatchewan. Announced on July 14,2012, the stadium replaced Mosaic Stadium at Taylor Field as the field of the Canadian Football Leagues Saskatchewan Roughriders. It was designed by HKS, Inc. in joint venture with B+H, preliminary construction on the new stadium began in early 2014, and it was declared substantially complete on August 31,2016. The stadium held its inaugural sporting event, a university football game between the Regina Rams and the Saskatchewan Huskies, on October 1,2016, the Roughriders will move into the stadium for the 2017 CFL season. The stadium is intended to provide a modern fan experience in comparison to Taylor Field, utilizing a sunken bowl with a partial roof around much of its rim. The rims curved design is meant to prevent snow from accumulating on the roof, the stadium was built to support the construction of a full roof in the future. The south end zone is not covered by the roof, to protect spectators from wind, the lower bowl is situated 10 metres below ground level. The stadium will individually seat 33,000 spectators, and can be expanded to seat up to 40,000 with temporary seating,38 corporate suites and two levels of luxury seating will be provided. The stadium features a concourse, circling the entire facility. The stadium was slated for construction at Evraz Place, Reginas exhibition grounds, the project was officially approved by the Regina City Council in January 2013. As such, the new stadium will be known as Mosaic Stadium, preliminary excavation of the stadium site began in April 2014, and an official groundbreaking ceremony was held on June 16,2014. The new stadium was scheduled to be completed by August 2016, installation of the stadiums FieldTurf Revolution 360 playing surface began in July 2016, it is the first CFL stadium to feature this iteration of FieldTurf. On August 31,2016, officials declared Mosaic Stadium to be complete, with furniture, concessions. On February 7,2017, it was announced the Roughriders would officially open up the new stadium on July 1,2017 against rival Winnipeg Blue Bombers to celebrate Canada 150, Mosaic Stadium was estimated to cost around $278 million to build. Saskatchewan is a prairie and boreal province in west-central Canada, the only province without natural borders. It has an area of 651,900 square kilometres, nearly 10 percent of which is water, composed mostly of rivers, reservoirs. As of December 2013, Saskatchewans population was estimated at 1,114,170, residents primarily live in the southern prairie half of the province, while the northern boreal half is mostly forested and sparsely populated. Of the total population, roughly half live in the provinces largest city, Saskatoon, or the provincial capital, other notable cities include Prince Albert, Moose Jaw, Swift Current, North Battleford, and the border city Lloydminster. Saskatchewan is a province with large distances to moderating bodies of waters. As a result, its climate is continental, rendering severe winters throughout the province. Southern areas have very warm or hot summers and Yellow Grass near the U. S. border are tied for the highest ever recorded temperatures in Canada with 45 °C observed at both locations on July 5,1937. In winter, temperatures below −45 °C are possible even in the south during extreme cold snaps, Saskatchewan has been inhabited for thousands of years by various indigenous groups, and first explored by Europeans in 1690 and settled in 1774. It became a province in 1905, carved out from the vast North-West Territories, in the early 20th century the province became known as a stronghold for Canadian social democracy, North Americas first social-democratic government was elected in 1944. The provinces economy is based on agriculture and energy, Saskatchewans current premier is Brad Wall and its lieutenant-governor is Vaughn Solomon Schofield. In 1992, the federal and provincial governments signed a land claim agreement with First Nations in Saskatchewan. The First Nations received compensation and were permitted to buy land on the market for the tribes, they have acquired about 3,079 square kilometres. Some First Nations have used their settlement to invest in urban areas and its name derived from the Saskatchewan River. The Regina Court House during Louis Riel's trial in 1885. 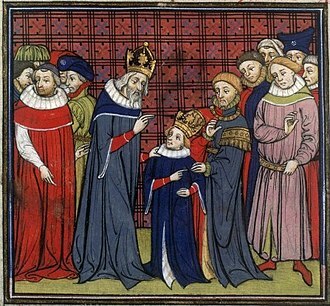 He was brought to Regina following the North-West Rebellion. 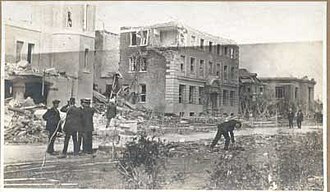 On June 1912, a tornado locally referred to as the Regina Cyclone devastated the city. The tornado remains the deadliest recorded tornado in Canada. Mosiac Stadium during a Soccer Game. Calgary is the largest municipality by population in western Canada. Vancouver is the largest census metropolitan area by population in western Canada. 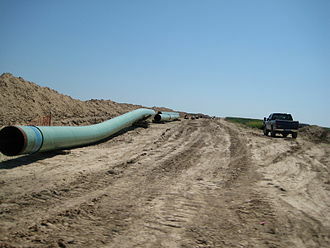 Pipelines allow Western Canada to export oil and gas. Barr Colonists in Saskatoon in 1903. 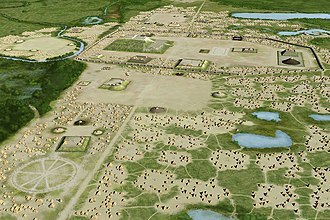 The settlement of Saskatoon saw an economic boom when the traveling Barr Colonists encamped around the community. View of the Aspen parkland outside the city limits. The area is a transitional biome between the Boreal Forest and the Prairies. 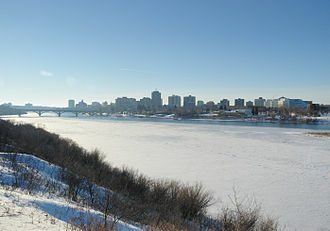 Winter skyline of Saskatoon with the South Saskatchewan River bisecting the city. Winters in the city are long, and cold. Mosaic Stadium in its final configuration. Paul McCartney performing at Mosaic Stadium in August 2013.